It is a decent biography for a quickly written one. Yet it feels too banal at times; perhaps this is because Atherstone is writing about the living. Or perhaps it is because Welby’s life has been quite ordinary between the exciting parts. But I think it’s also because it relies heavily on sermons and weekly columns written by Welby, and so despite not being authorised, it comes across very much as a sanitised, public biography. Am I saying Atherstone should have tried to dig up more dirt and highlight antagonism? Well, probably not, but these are some of our expectations of biography. Perhaps he should have at least found a still seething parishoner from the time Welby removed the pews from his parish church in the 1990s and replaced them with chairs. A humanist friend bought this book for me, which was a kind thing of him to do, as it’s blessed me. I haven’t read much in the field, but it’s the finest apology for Christianity I’ve encountered. There are so few contemporary Christian writers whose prose is beautiful, but this book is beautiful in places, and full of the kind of insight into human experience one hopes to find in the best literary fiction, and rarely encounters in Christian nonfiction. All this said, I’m hard pressed to sum up Spufford’s argument. It’s less an argument than a beautiful monologue about what ‘Christianity feels like from the inside’ – about how, apparently, it makes emotional sense. 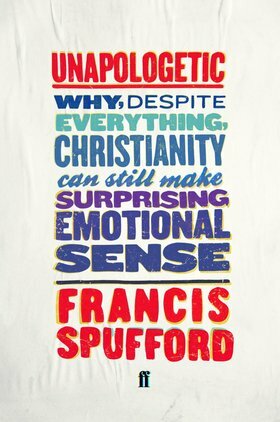 Spufford states early on that he is a fairly orthodox Christian, but he writes as someone who carries little theological baggage, and perhaps that’s why he’s refreshing. He describes his inner life and how it resonates with his faith. He actually manages to cover all the key areas of the faith in this account, from his limited but important experience of God, to the message of Jesus and the significance of church. It’s not a book which will sit easily with evangelicals; he likes to use f-word, and he claims that hell is not something many Christians believe in. For me, I’m so glad to find this account of a fragile but very real faith that takes seriously the prospect of being wrong, the spectre of atheism and the reality that we often hear nothing back when we pray, and spins from these threads a compelling account of ‘why, despite everything’ Christianity might still be true. It would be easy to be misled by this book’s title. It could well be the latest combative tome by a conservative evangelical. Yet it’s published by Harvard University Press; the ‘anointed’ and the ‘evangelical truth’ have invisible scare quotes around them. 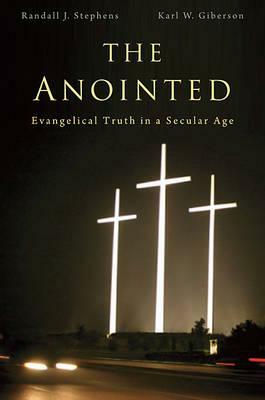 It is a book which explores how evangelicals will follow the teachings of populist extremists like Ken Ham, David Barton, James Dobson and Tim LaHaye while paying less attention to more balanced, moderate and better-credentialed voices within evangelicalism like Francis Collins, Mark Noll, David Myers and Tom Wright in their respective fields. As befits a book published by Harvard and aimed at a scholarly or educated general audience, the authors write as neutral, secular observers of the movement. Yet the back flap reveals that Stephens teaches history at the (evangelical) Eastern Nazarene College and Giberson used to teach physics there. (Stephens has since moved to Northumbria University.) They are actually insiders to the evangelical culture, writing as if outsiders. Perhaps the nature of the book required this pretense, but I think it would have been valuable to have an acknowledgement in the text itself of their own relationship to evangelicalism. This criticism aside, their analysis is very good, offering a historical account of the rise of young earth creationism, the myth of Christian Founding Fathers of the USA, Focus on the Family and populist premillennial eschatology. In each case, ‘anointed’ men have popularised a fundamentalist message, claiming to have derived it straight from the Bible, unlike the liberal ‘experts’ whose education and research can be dismissed. A historical treatment is particularly valuable, placing these ideas within the context of the Scopes Monkey Trial, the cultural and sexual revolution of the 1960s and the rise of the Religious Right in the 1980s. He achieved this with the glossy Creation magazine, books aimed at children and, more recently, the famous Creation Museum. In this account, he and the others have been brilliant populisers, speaking to the evangelical masses in ways they can understand and with personas they can trust. The analysis of the four areas of Christian thought is entirely US-centred, and to a significant extent, this is a US phenomenon, with the final chapter offering an explanation in terms of US egalitarianism. Yet the anointed fundamentalists have a death grip on Australian evangelicalism too. The revisionist history is the least widespread phenomenon in Australia, but even this has its Australian equivalent, with popular writer Col Stringer insisting Australia is actually a Christian country, despite Tom Frame’s persuasive case otherwise. In the other three areas, Ham, Dobson and LaHaye are extremely influential. Why should this be? A lot of Australians dislike the Americanisation of their culture – yet in both Christian and secular culture, they are always taking it on. Australia has a similar disdain for experts; this is surely one factor. The weakest chapter for me was the penultimate one, “A Carnival of Christians”, which tries to explain the phenomenon through the eyes of one particular subject, a young evangelical named Paul Miller in his twenties who has lived most of his life cloistered in this ‘parallel universe’ of evangelicalism, explaining how he could embrace it growing up and how it came into question when he was exposed to the wider world. It is an interesting attempt to humanize their argument, yet in this case the details of the particular dragged for me, rather than illuminating the whole. Overall, I found the book compulsively readable and fair-minded in its attempts to understand the appeal of the anointed. 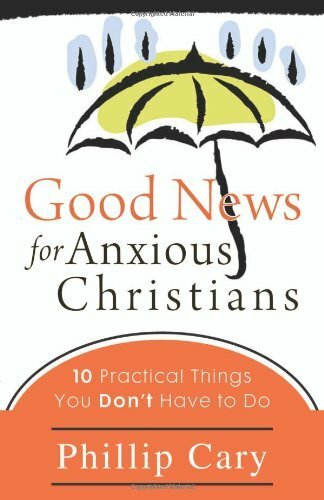 I think there should be a unit in evangelicalism at theological colleges, and that this should be required reading, in the hope that the fish might come to recognise the water they are swimming in – and perhaps prospective pastors could find ways to steer their congregation toward the best thinking Christianity has to offer in each area of thought, rather than to the bestsellers. I’ve just finished C.S. Lewis’s The Great Divorce for the first time. It is a strange genre of writing, certainly not a novel in a conventional sense. Somewhat like Pilgrim’s Progress, it has a series of encounters with representative people in heaven, hell and in-between, whose responses to their situations have much to teach and warn us about our lives today. Despite its disclaimer (‘a dream’), the book must surely horrify many evangelicals with its set-up of the afterlife. People’s fates are not fixed; they have the opportunity of visiting heaven and even staying. Their entry seems to depend upon their letting go of the sins which they have become attached to. Lewis performs a deft twist at the end to exculpate himself and maintain his orthodoxy; the encounters we have read of are perhaps ‘only the mimicry of choices that had really been made long ago’ or perhaps ‘anticipations of a choice to be made at the end of all things’ (107). Better to say neither, advises George MacDonald (C.S. Lewis’s literary hero and his guide in heaven) – ‘do not ask of a vision in a dream more than a vision in a dream can give.’ MacDonald, warns him to be sure to ‘give no poor fool a pretext to think ye are claiming knowledge of what no mortal knows’ (108). There should be more books like this. The Shack probably belongs in the same genre, but unfortunately not in the same league.